This area owned and maintained by Sedalia Water Department, Sedalia, MO. For more information please contact Sedalia Water Department – 660-826-1234. 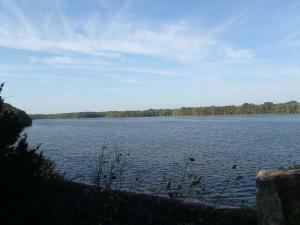 This lake is part of MDC’s Community Assistance Program (CAP). This area includes boat ramp, ADA privy, parking, walkway and floating fishing dock.